He did a great job. I would use him again for other projects. He was nice and paid meticulous attention to detail. I just installed granite countertops for my house. 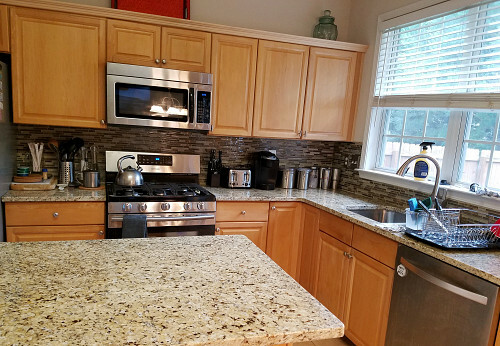 I also bought multi-colored mosaic glass tile for a backsplash to go with the granite. 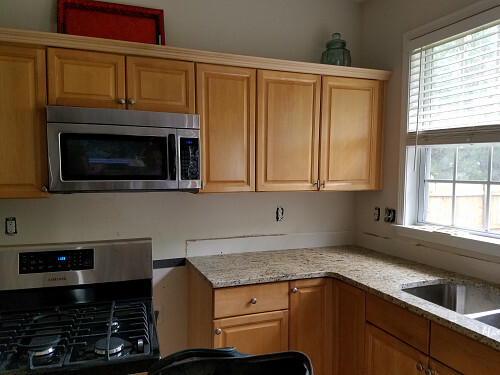 The contractor who did the granite was trying to get his own worker to do the backsplash, but I didn’t get a good vibe from him. By the time he got back to me with a time to come out for an estimate, I had already talked to -- and picked – Michael Jones. Michael was nice and helpful. He looked at everything, checking the amount of tile to make sure I had enough. He told me what I had was sufficient, or actually too much … and he was right, because I ended up returning a lot of it. He did a good, very thorough job, which took about 6 hours altogether. His attention to detail was outstanding. For some reason, my wall wasn’t level. But he just kept working and working to fit the tiles together like a jigsaw puzzle so they lined up properly. He was very meticulous. 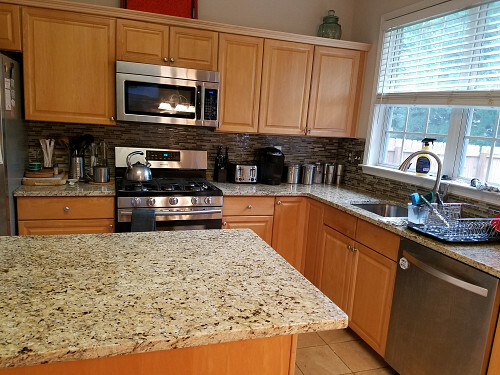 Take a piece of your countertop to the tile supplier and try to match it as best you can. Go with a tile you like. Try to get reviews of different contractors but go off your instinct too.